It’s Clean, White, and Exciting! Cambria Brittanicca Gold pairs beautiful with the Shadebrick Light 3×12 subway tile backsplash. Cambria Brittanicca Gold in this kitchen is stunning with the movement of grays and gold. It's Clean, White and Exciting! 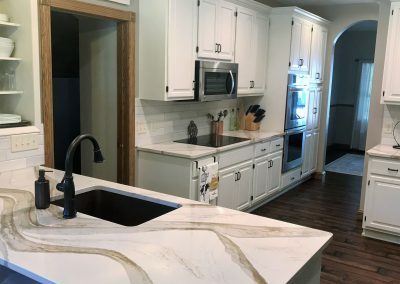 We are super excited to share this kitchen remodel with you. The original owners of this home decided after all the children were grown and on their own it was time to give the home a makeover. We are excited they came to us for their kitchen countertop selection. 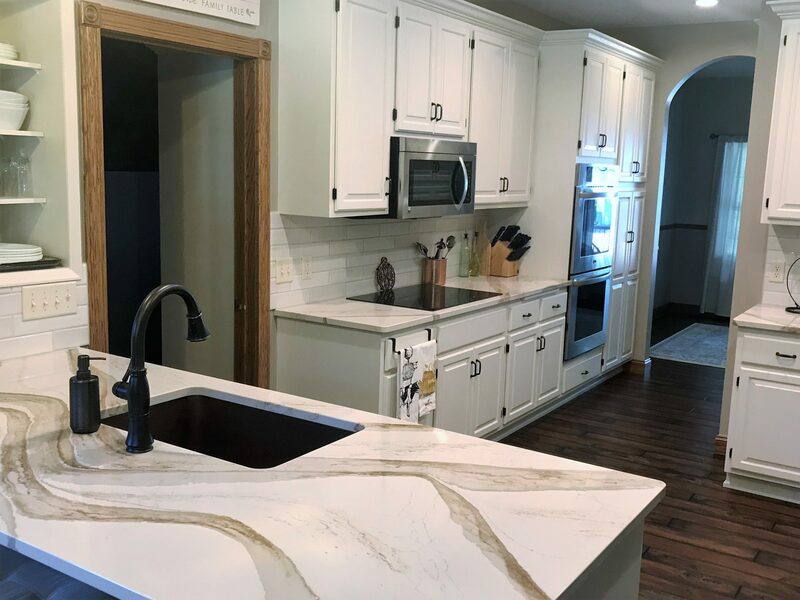 Our designer met with the homeowner and reviewed all the elements she had selected including the cabinet color, flooring and light fixtures. 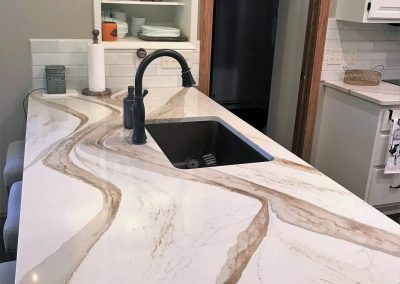 Once they looked over those items, choosing the countertop design was easy. 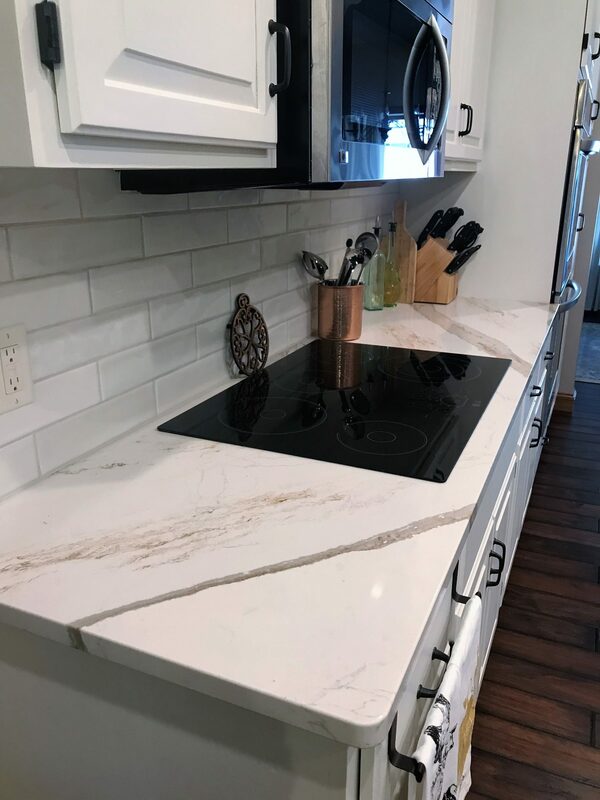 Cambria Brittanicca Gold was the design that fit the homeowner’s style best and she loves it! The flowing, multi-hued streams of copper gold, fog, and translucent greige course through this grand design with wisps and ribbons of warm earth tones against a temperate white background. 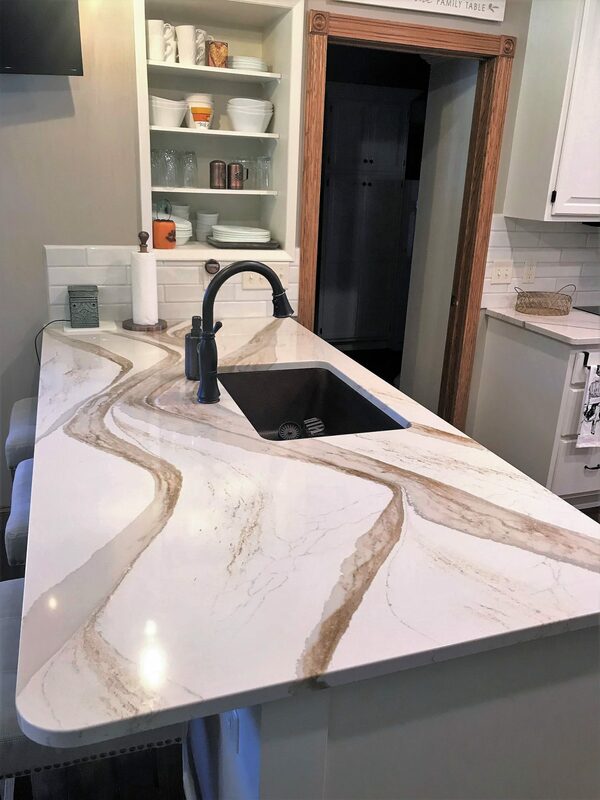 If you’re remodeling your kitchen and need some design help, visit us at Creative Surfaces Countertops & Tile. 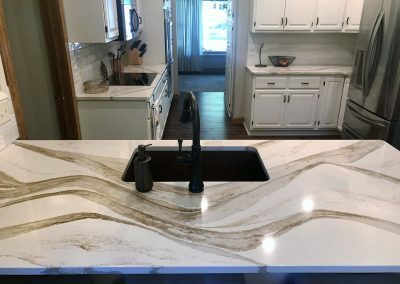 Our design team will help you with our countertop and tile selection. 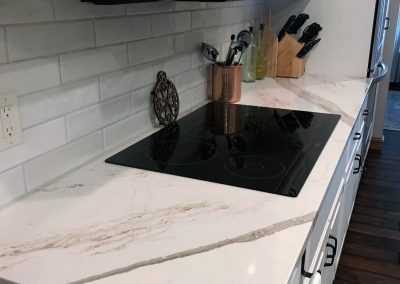 We offer a variety of countertop options as well as a variety of tile options for the backsplash and the flooring. If the bathroom is your project, they can assist there as well. Oftentimes the decision can be overwhelming. 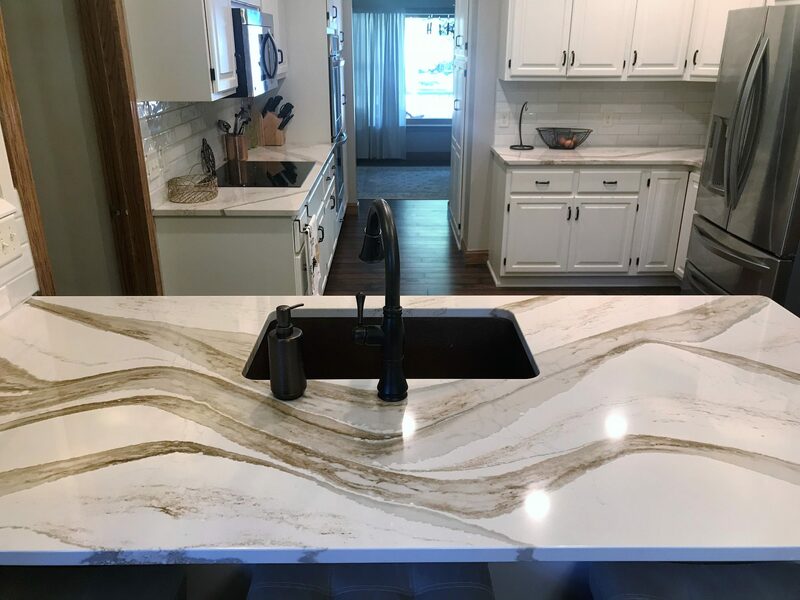 Let our designers assist in the process and give your kitchen and bath a WOW factor. Visit us today.